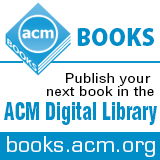 Welcome to the May 8, 2015 edition of ACM TechNews, providing timely information for IT professionals three times a week. Computer scientists from the University of Warwick used Twitter to predict the outcome of the U.K. general election. The team has developed an algorithm that harvests political tweets, and incorporating sentiment conveyed in tweets was one of its key features. The user-generated content is aggregated and put into conventional polling reports to produce a daily prediction of voting share. "We then put all this information into our forecasting model, along with the parties' share of the vote as measured by opinion polls," says Warwick researcher Adam Tsakalidis. The team says the approach will provide key insights into how public opinion is developing and what factors might be influencing any changes in support. The researchers believe their forecasts could be more accurate than traditional opinion methods. Tested during the Greek election in January, the model achieved better results than all of the most recent polls leading up to the vote and three exit polls once the ballots closed. "We are particularly interested in automatically identifying the sentiment expressed towards specific politicians or parties and topics such as immigration," Tsakalidis says. "This will help us obtain more accurate predictions as well as better understanding of the reasons behind public support or discontent." Facebook on Thursday published the results of a new study that found although much of the content people see on Facebook is aligned with their own ideology, a significant portion of it represents opposing viewpoints. The study is the first to quantify the extent to which people are exposed to ideologically diverse news and information in social media. Nearly 30 percent of all the news content that people see in their News Feed cuts across ideological lines, according to the study. In addition, when only considering the content shared by people's friends, the study found about the same percentage of information cuts across ideological lines. Facebook analyzed the News Feed data with an algorithm designed to surface content to users that's aligned with what they're interested in, based on their activity. The study's results help to show how much Facebook users do engage with content that reflects different points of view. As part of the study, Facebook developed a system that identified more than 226,000 news articles shared at least 100 times during the second half of 2014. Machine teaching is an innovative idea from University of Wisconsin-Madison associate professor Xiaojin Zhu whose paper, "Machine Teaching: An Inverse Problem to Machine Learning and an Approach Toward Optimal Education," won the Computing Community Consortium-sponsored Blue Sky Ideas Conference Track series at the Association for the Advancement of Artificial Intelligence's Conference on Artificial Intelligence in January. Zhu describes machine teaching as machine learning turned upside down. He says machine teaching is about finding the optimal--the smallest--training set, and it mathematically formalizes this idea and generalizes it to many kinds of learning algorithms and teaching targets. Zhu says machine teaching can have an impact on education, where the student is really a human student and the teacher has a target model (the education goal). "If we are willing to assume a cognitive-learning model for the student, we can use machine teaching to reverse-engineer the optimal training data--which will be the optimal, personalized lesson for that student," Zhu says. Researchers from the Massachusetts Institute of Technology (MIT) led by professor Brian Williams, a former U.S. National Aeronautics and Space Administration (NASA) engineer, have developed a new approach to programming autonomous underwater vehicles (AUVs) that increases their "cognitive" capabilities, enabling them to approach problems with a greater degree of autonomy. Previously, programming AUVs has been a painstakingly detailed process, but the MIT researchers' approach would enable an engineer to give the AUV a set of high-level goals to carry out, as well as other information such as time constraints and physical directions, and the AUV would autonomously determine how best to meet those goals. Williams calls the system Enterprise, after the inspiration he drew from the TV series "Star Trek." Enterprise has different components that fill different roles, one acting as a "captain" while another acts as a "navigator," for example. The system is similar to one Williams developed during his time at NASA to help space probes make decisions in situations where it might be difficult or impossible for Earth-bound controllers to communicate with them. The researchers tested the Enterprise system during a recent research cruise near Australia during which their AUV was able to successfully meet its goals while avoiding collisions with other AUVs. The future of computer-human interaction will be demonstrated and discussed today and tomorrow at Georgia Institute of Technology's (Georgia Tech) Wearable Technology Symposium. Among the presenters will be Georgia Tech graduate Emily Keen, 25, who developed a ballet shoe that can provide a dancer with tactile feedback on proper balance, alignment, and weight distribution. A dancer who trained at the Atlanta Ballet Center for Dance Education, Keen also has developed a dress that can double as a video screen for demonstrating complex movements, similar to the way the video game Guitar Hero simplifies guitar solos. George Tech Ph.D. candidate James Hallam will demonstrate a set of haptic gloves that can help stroke victims regain strength in a weakened hand--the gloves prompt the weak hand to copy the strong hand in a series of exercises. Many of the devices employ soft circuit technology, using conductive nylon thread wrapped in microns-thick stainless steel. The researchers note people will start wearing these types of devices as the processors they incorporate become smaller and more powerful. Researchers at the University of California, Santa Barbara (UCSB) and Stony Brook University have developed a memristor with circuitry that processes data in a way that mimics the neurons and synapses of biological brains. The researchers note that when such a network is exposed to new data, it "learns" as the synapses that connect neurons adjust the neurons' influence on one another. Each of the approximately 100 synapses is represented using only a single memristor. "If this design can be scaled up to large network sizes, it will affect the future of computing," says Graz University of Technology professor Robert Legenstein, who did not participate in the development of the new memristor. "Laptops, mobile phones, and robots could include ultra-low-power neuromorphic chips that process visual, auditory, and other types of sensory information." The memristor chip is a proof of concept, but the researchers believe the techniques used to develop it can be scaled up to make larger, more powerful devices. UCSB professor Dmitri Strukov says the technology also could be improved by private companies that are working to commercialize memristors for data storage. An algorithm developed by Disney researchers could one day enable non-professionals to create high-quality panoramas with multiple cameras. The method smooths out distortions such as blurring and ghosting that may occur when video feeds from unstructured camera arrays are combined to create a single panoramic video. The algorithm corrects for differences in parallax, detects and corrects for image warping, and also compensates for slight differences in the timing of frames between cameras. The team designed the algorithm to automatically analyze images from the cameras to estimate the position and alignment of each camera. As a result, the method eliminates the need to use special or manual calibration techniques, and allows for a flexible positioning of the cameras. The team has demonstrated the technique using as many as 14 types of cameras, and they were able to generate panoramic video on the order of tens to more than 100 megapixels. "We can foresee a day when just about anyone could create a high-quality video panorama by setting up a few video cameras or even linking several smartphones, just as many people today can easily create a still photo panorama with their smartphones," says Disney Research Zurich's Alexander Sorkine-Hornung. Technology developed at the Polytechnic University of Valencia and the University of Stuttgart could serve as a text-entry system for wearable devices that have touchscreens. The tiny QWERTY soft keyboard could enable users to answer or enter text on wearable devices that have limited onscreen space, such as smart watches, smart glasses, and digital jewelry. The Spanish and German researchers designed two keyboard prototypes for different screen sizes, between 16 and 32 mm. The first, named Callout, creates a callout showing a character that is about to be entered in a non-occluded location, such as the upper part of the screen. The second, called ZShift, improves Callout by enhancing the callout area with one level of zoom of the occluded area, while also providing visual feedback on the key touched. The team also tested different mechanisms to autocorrect typing errors on the go to make it easier to text. The QWERTY keyboard has its limitations, but people are familiar with its text-entry technique, the team notes. "It works really well for extremely small, coin-sized screens," they say. "However, if we slightly increase the screen size, just a few millimeters do make a difference, and the text-entry technique becomes a bit frustrating and inefficient. Our prototypes are aimed at solving these issues." Pennsylvania State University (PSU) researchers say stereotypes related to gender and appearance may affect both the real and virtual worlds. In a study of how people interacted with avatars in an online game, women received less help from fellow players than men when they operated an unattractive avatar and when they used a male avatar, says PSU doctoral student T. Franklin Waddell. He notes the findings are similar to those in previous research on how appearance stereotypes affect men and women in the real world. Waddell notes women also were found to be more likely to experience negative consequences based on their appearance than men are. Another finding was players were less likely to help a woman who controlled a male avatar than a man who controlled a female avatar. The findings suggest businesses may want to offer fewer, rather than more, options if workers use avatars to interact with colleagues or customers, according to the researchers. "Businesses often want to provide employees and customers with as many technological options as possible," Waddell says. "However, if business people are going to use avatars to interact with each other or with customers, they may want to use avatars that are gender neutral." Summer camps across the U.S. will focus on technology and computing this year as part of an expanding program called GenCyber funded by the U.S. National Science Foundation (NSF) and the National Security Agency (NSA). The agencies want to teach children about threats that can be found online, defense basics, and not misusing the information they collect. "In order to be really cyber-aware...a student, high school, college, or new grad entering the workforce really needs to be fundamentally strong in those principles and programming," says Dakota State University professor Josh Pauli. He will oversee a summer camp involving 200 students who will learn about programming. In 2014, NSA and NSF collaborated on a pilot program comprising six summer camps for both children and teachers. The goal for this summer was 30, but demand was so great that 43 camps were created, according to NSF's Steven LaFountain. LaFountain says his original goal was to get to 200 camps by 2020, but demand is so great it could occur sooner. The camps vary in length; some are day camps, some sleepover, and some are for high school and middle school or only for teachers. University of Washington (UW) researchers have developed Trace, an app that turns a digital sketch the user draws on a smartphone screen, such as a boat or a leaf, into a walking route that can be sent to another user. The recipient tells the app how far they want to walk and the app produces step-by-step directions that eventually reveal the hidden shape on a map. The sender also can include audio recordings, images, or other messages that appear at specified locations along the route. The app was designed to explore how geographical-information system mapping technology shapes how people experience the act of walking. "For some people, it was a delight to find that slowing down allowed them to meet new people or see familiar sites in their neighborhood in new ways, but at the same time giving up that control was a stress for other folks who had a routine," says UW professor Daniela Rosner. Trace forces walkers to give up control and just go where the app directs them, sometimes leading them into unfamiliar parts of a city. Unlike other walking apps, Trace enables a user to start walking the route from any point in the city. The walker also can make the shape bigger or smaller by specifying how long the walk should last. Researchers at the University of Texas at Austin's Radionavigation Lab, led by professor Todd Humphreys, have developed a centimeter-accurate global-positioning-based system they say could make global positioning and orientation far more precise than what is currently available on a mobile device. The researchers say the technology, when coupled with a smartphone camera, could be used to quickly develop a globally referenced three-dimensional map of the user's surroundings that would greatly expand the radius of a virtual reality game. The researchers developed a low-cost system that reduces location errors from the size of a large car to the size of a nickel, representing a more than 100-fold increase in accuracy. The technology is a powerful and sensitive software-defined global-positioning system receiver that can extract centimeter accuracies from the antennas found in mobile devices. The software's ability to leverage low-cost antennas will reduce the overall cost of centimeter accuracy, which currently is used in geology, surveying, and mapping, but has been too expensive to use in mobile devices. The researchers spent six years developing a specialized receiver, called GRID, to extract carrier-phase measurements from low-cost antennas. University of Pittsburgh researchers have developed a synthetic polymer gel containing spirobenzopyran (SP) and Belousov-Zhabotinsky (BZ) gels that can utilize internally generated chemical energy to undergo shape-shifting and self-sustained propulsion. The technology could enable the development of "soft robots" that reconfigure their shape and move using internally generated power. "Although researchers have previously created polymer chains with both the SP and BZ functionality, this is the first time they were combined to explore the ability of 'SP-BZ' gels to change shape and move in response to light," says Pittsburgh professor Olga Kuksenok. The material integrates the ability of SP-functionalized gels to be molded with light and the autonomous mechanical actions of the BZ gels to create a new system that undergoes self-bending or folding, as well as self-propelled motion. There were some unexpected results associated with the research. For example, the researchers found the light had to be placed in a certain way in order for the gel to move. "We also found that if we placed the SP in certain regions of the BZ gel and exposed this material to light, we could create new types of self-folding behavior," says Pittsburgh professor Anna C. Balazs.